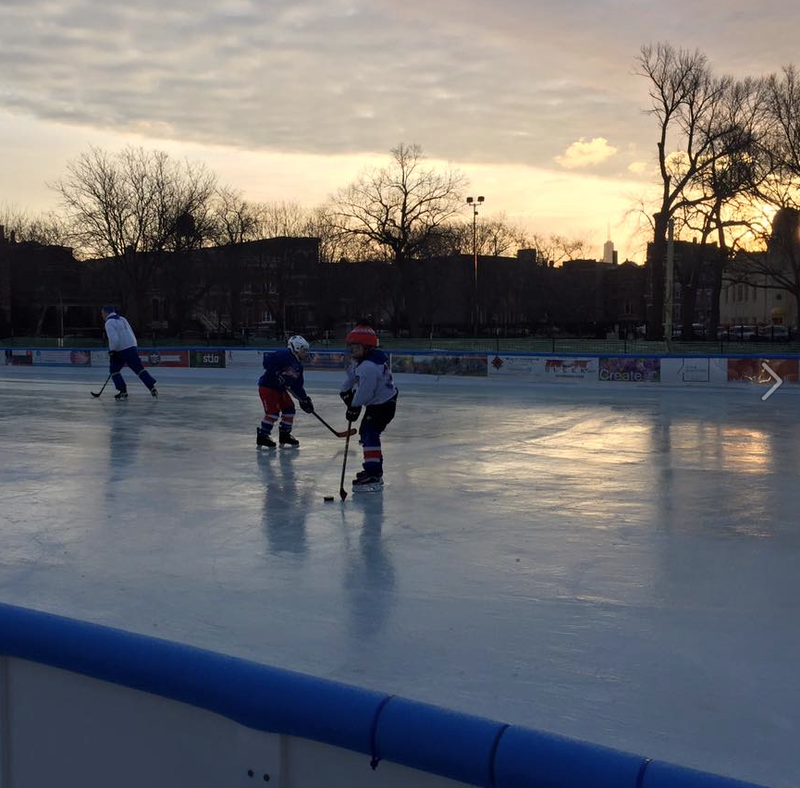 The Wicker Park ice rink is a community funded and maintained, non-refrigerated rink that opened for the first time last year. It is located at 1425 N. Damen Ave, right near the Wicker Fountain. The rink will be installed this year on December 3, and it will open as soon as the ice freezes naturally. The Chicago Park District's field house will be open as well, with a space to warm those cold toes. We dare you to take our very own ice challenge! First drink some free hot coffee or hot chocolate at Ray's. Then run to the rink and take a picture of you laying on it. Print out the picture using the guest computer at Ray's. Finally, post the picture on the skate wall of fame (fridge). Each contestant will get a special prize!